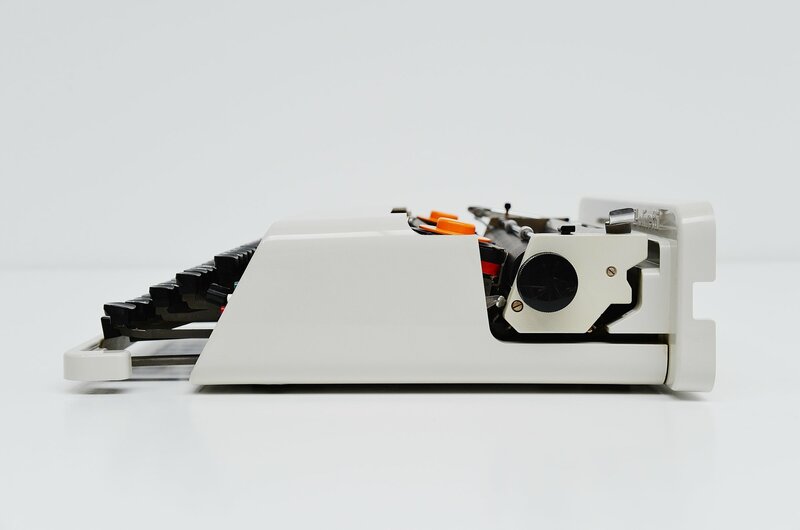 Early and rare grey edition of the famous 'Valentine' typewriter designed by Ettore Sottsass Jr. and manufactured by Olivetti, Italy 1969. 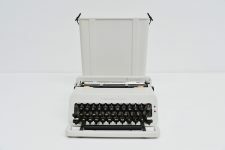 This first edition was produced in Barcelona, the second edition was manufactured in Mexico. 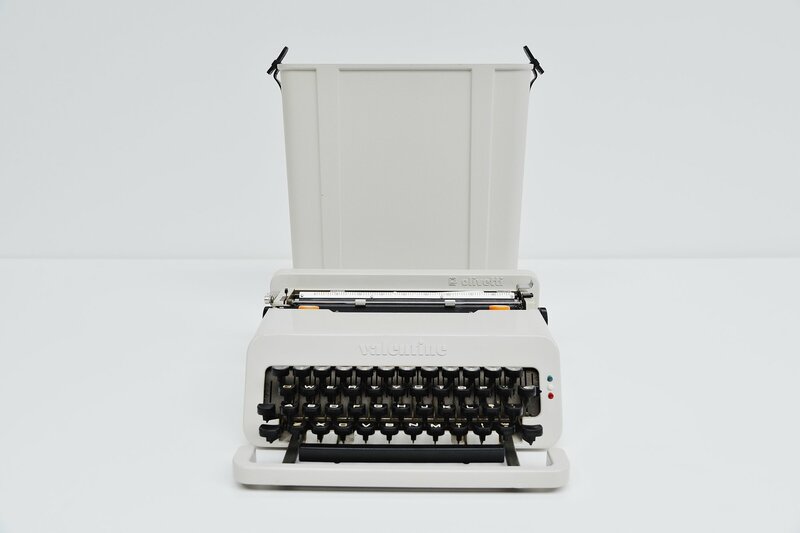 The Valentine typewriter was launched on 14 February 1969, explains the name ‘Valentine’. 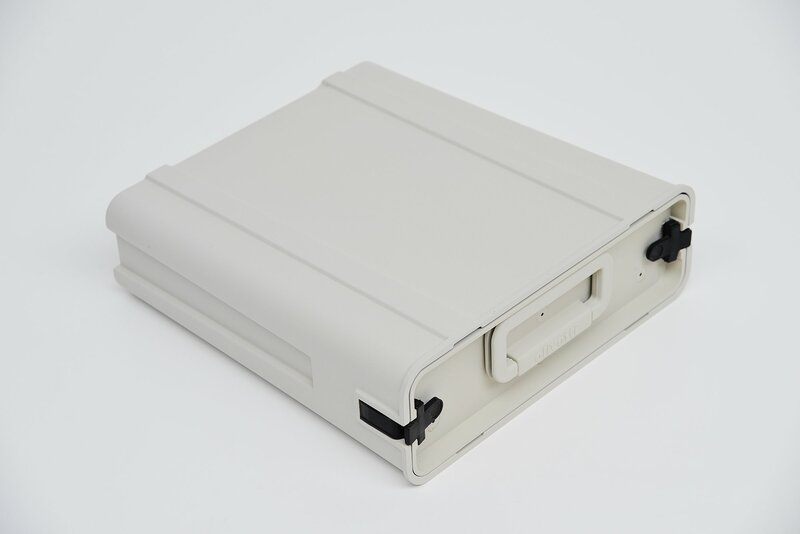 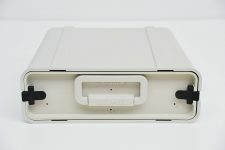 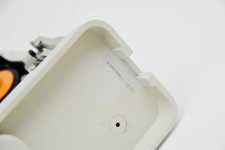 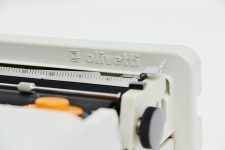 It was designed by the late Italian architect and designer, Ettore Sottsass, with the British designer, Perry Ellis, for the Italian firm, Olivetti. 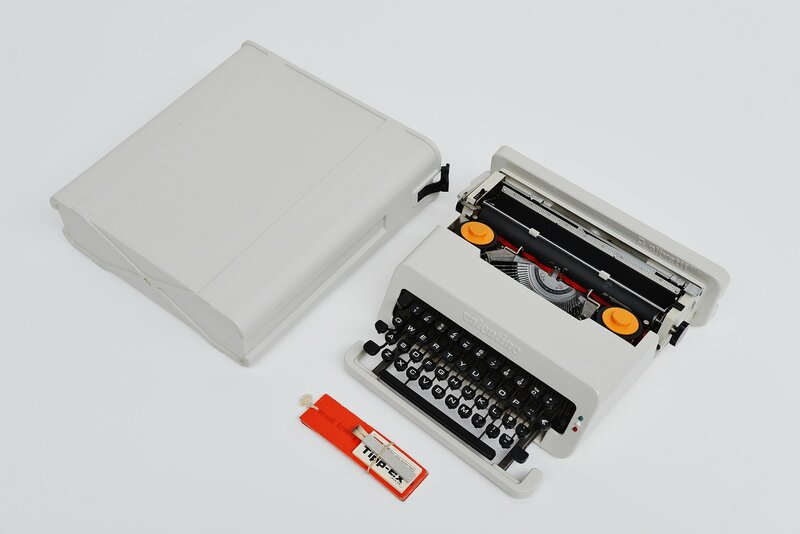 This valentine was mostly sold in red probably because of the launch date. 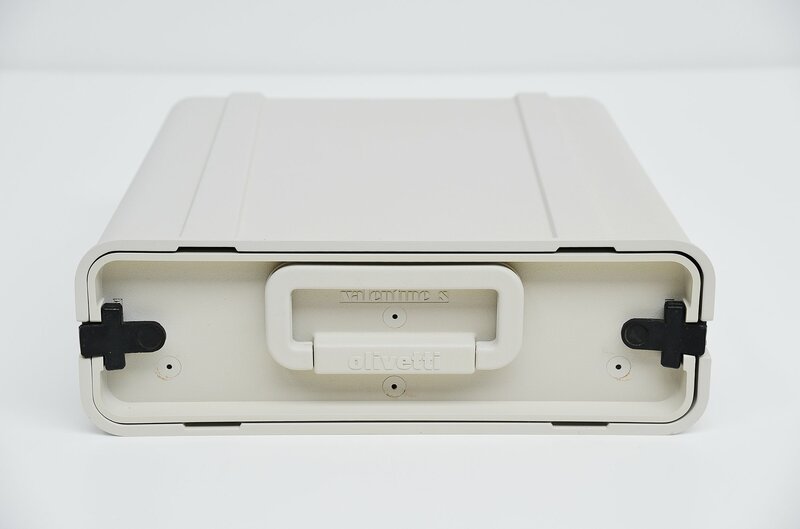 So the other colors for example this grey one is much and much rarer than the red ones. 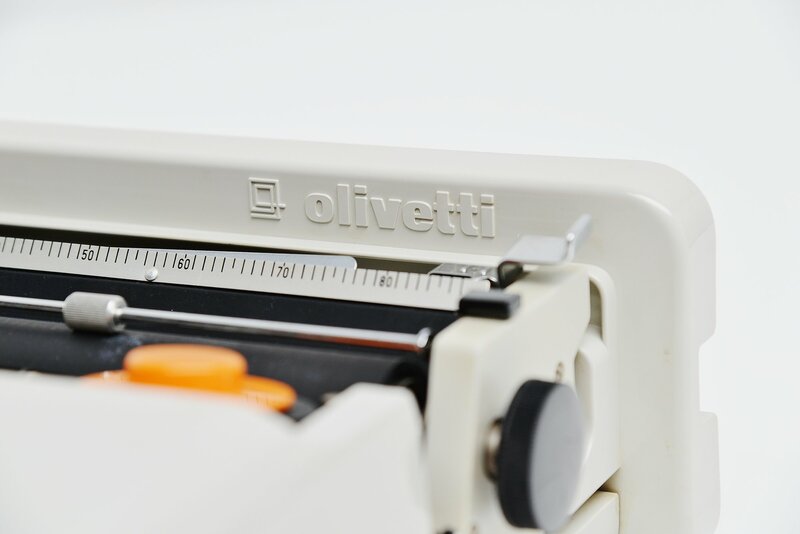 It was one of the most successful designed ever made by Olivetti. 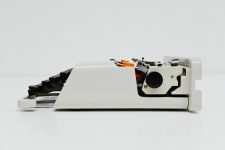 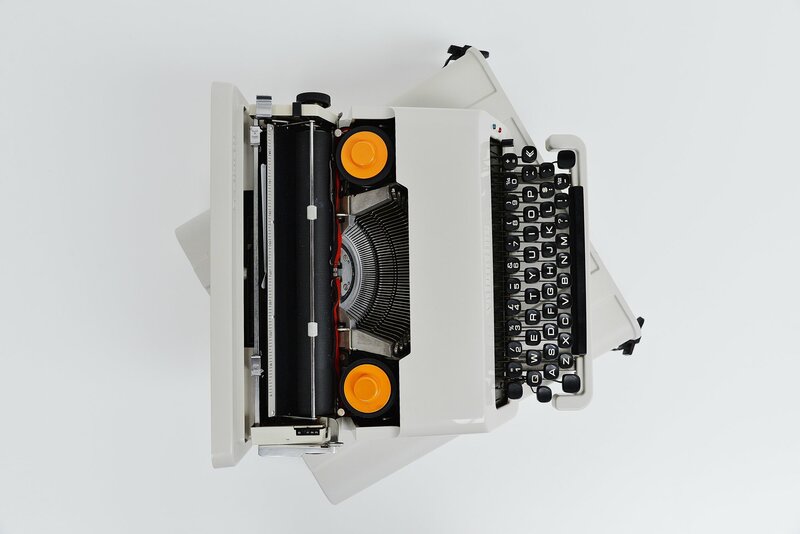 Now, where nobody uses a typewriter anymore, it has become a 20th century design icon. It is in good original condition with only minimal marks on it and slight discoloration on the top where the handle is.